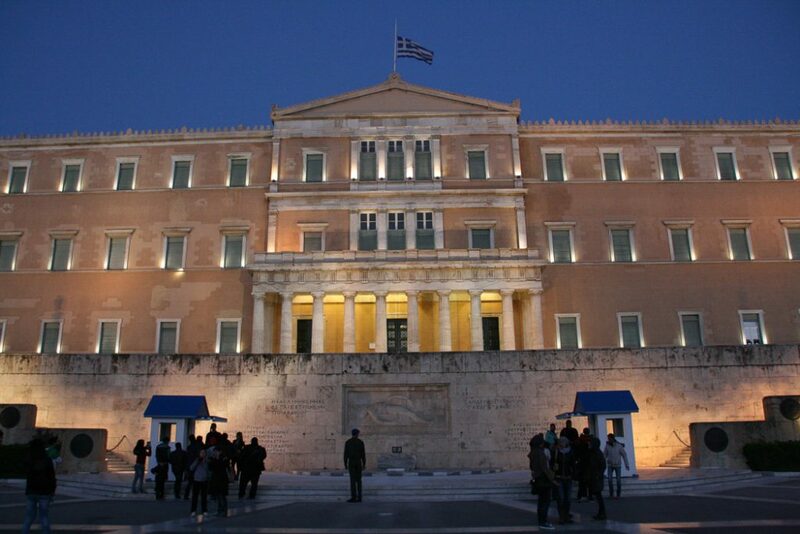 The 25th of March marks an important day in Greece’s history. This day is considered both a historical and a religious holiday. 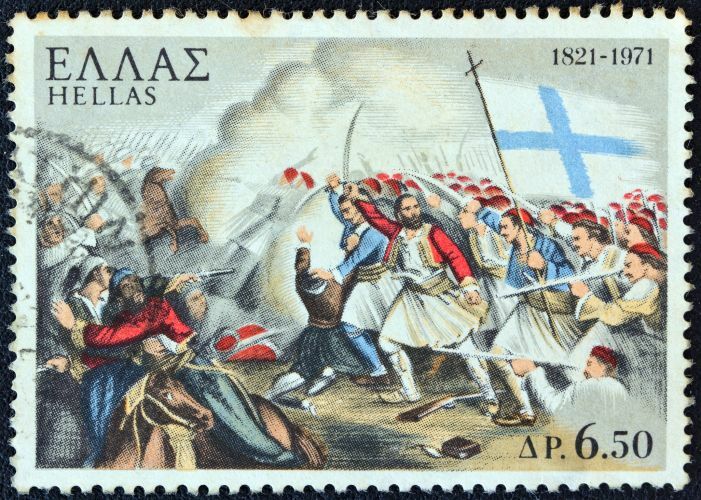 On the 25th of March the Greeks and the Greek diaspora around the world celebrate the Greek War of Independence or the Greek Revolution. These events took place between 1821 and 1832 and liberated the country from the Ottoman Empire. Following years of negotiations, attacks and allied fleet interceptions, Greece finally received the recognition of an independent nation in the Treaty of Constantinople in 1832. The Greek Revolution is celebrated by the modern Greek state as a national holiday every 25th of March. It was considered the culmination of a series of failed attempts which took place throughout the Ottoman occupation until the Greeks finally won their own sovereign state. The Peloponnese plays a crucial role in the history of Greek Independence. On March 17, 1821, war was declared against the Ottoman Empire by the Maniots at Areopoli in the Peloponnese capital of Mani which was named after Ares, the god of war. 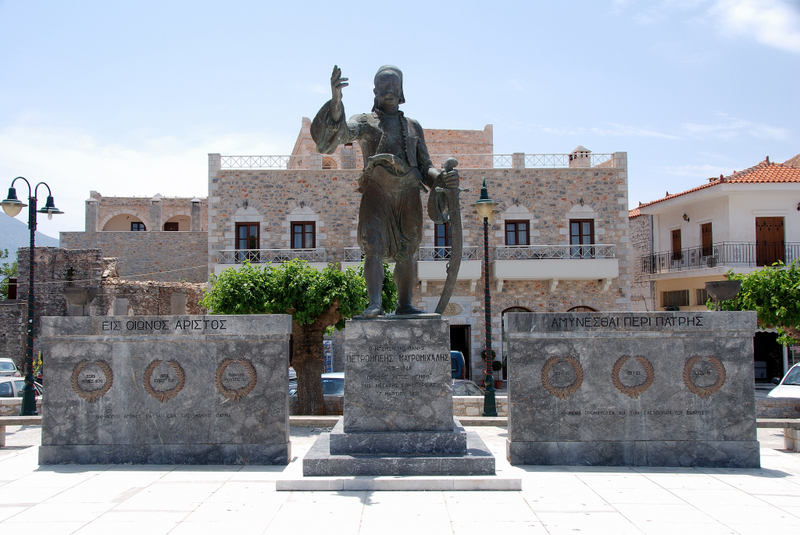 In the main square, called Plateia Athanaton, you can visit the statue of Petros Mavromihalis, the man who commandeered the army of 2,000 Maniots in an insurrection against the Ottoman Empire. The Taxiarchis Church was where the residents of Mani swore to “freedom or death.” Those three words became their battle cry during the Greek War of Independence in 1821. 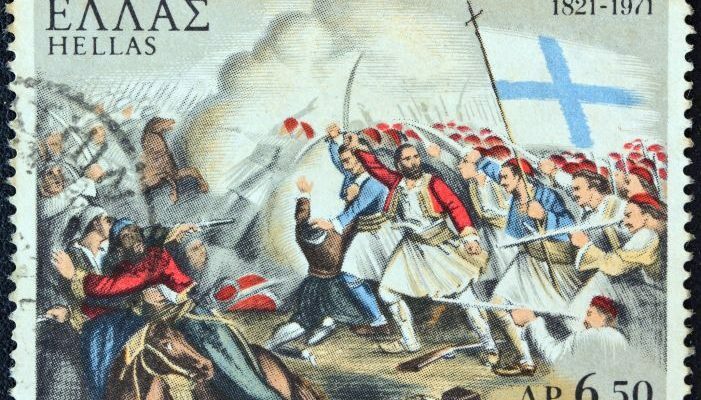 For those who wish to witness the historical importance of the Greek Revolution, celebrating the 25th of March in Mani is a unique experience. The 25th of March is also a religious holiday. On this day, the Greek Orthodox Church celebrates the Annunciation of the Blessed Virgin Mary by Archangel Gabriel, which proclaimed she would conceive the son of God. This day is exactly nine months before Christmas. The holiday is identified with the coming of the spring and the change of seasons. 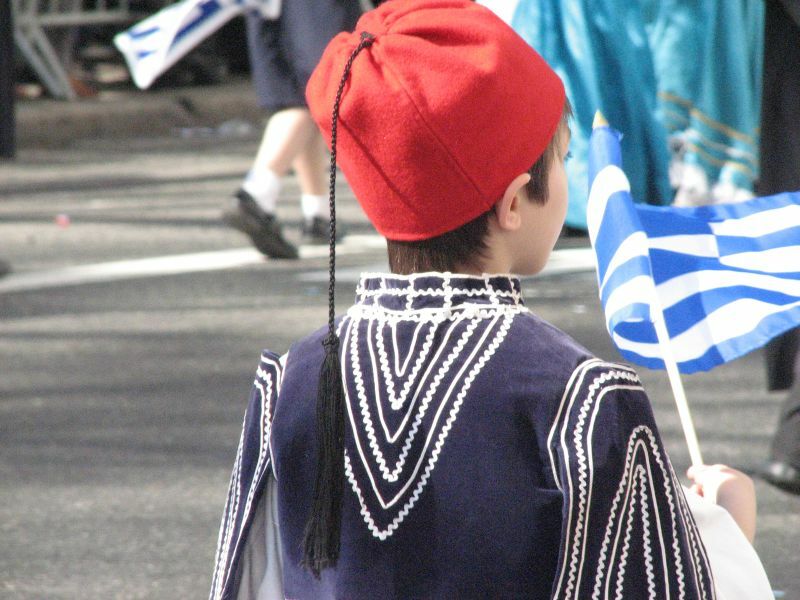 In celebration of Greek Independence Day, towns and villages all over Greece hold a school flag parade during which children march dressed in traditional Greek costumes carrying the Greek flag. Many Greek boys are dressed as tsoliades or evzones, Greece’s elite presidential guards who protect the Tomb of the Unknown Soldier. You can learn more about the fascinating history of Evzones in our previous post: Changing of the Guard Ceremony in Greece: Evzones. 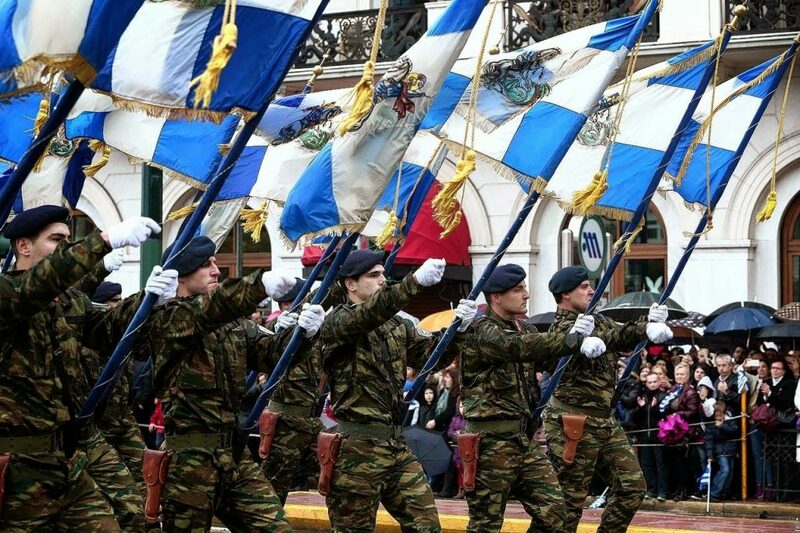 An honorary parade in celebration of the Greek Independence Day on March 25 takes place in the heart of Athens where Athenians and visitors gather to watch the armed forces march in front of the Hellenic Parliament. The streets are packed with celebrating crowds proudly holding and waving their Greek flags in the air. The atmosphere is filled with a mixture of aromas coming from the vendors selling roasted almonds, Greek savory pies and other delights. 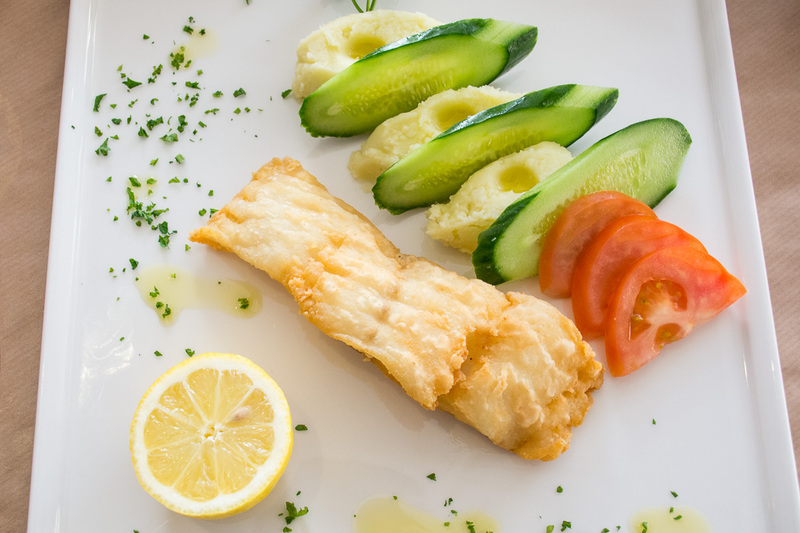 A national holiday cannot be complete without trying the traditional dish of the Greek Independence Day — bakaliaros (cod) and skordalia (mashed potato garlic dip). Since the 25th of March always falls during the period of Great Lent and the period of fasting does not allow the consumption of meat, fish and dairy products, the Orthodox Church made an exception that fish could be consumed on two occasions: the 25th of March and on Palm Sunday. Those who lived on the coast enjoyed fresh fish on numerous occasions, yet those in the mountains had no means of receiving fresh fish thus salt was used to preserve it for longer periods. Bakaliaros and skordalia are two ingredients which perfectly complement each other when they are eaten in a traditional Greek way. 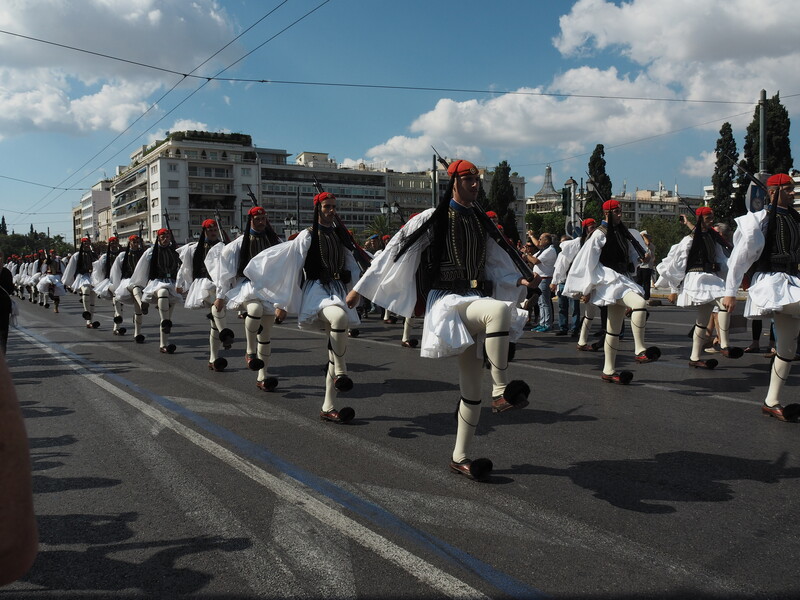 Have you ever celebrated the 25th of March in Greece and tried the famous bakaliaros and skordalia? If not, we hope that this post has triggered your curiosity to experience the highlights of the Greek Independence Day.